There’s more than one way to invest in copper. In addition to stocks, investors can gain exposure to the red metal through copper ETFs and ETNs. There’s more than one way to invest in copper. In addition to buying shares of copper-mining companies, investors can gain exposure to the red metal through copper ETFs and ETNs. For the uninitiated, ETFs, or exchange-traded funds, are securities that trade like stocks on an exchange, but track an index, commodity, bonds or basket of assets like an index fund. In the case of copper, an ETF can track specific groups of copper-focused companies, as well as copper futures contracts or even physical copper. Exchange-traded notes, better known as ETNs, are similar to ETFs in that they track an underlying asset and trade like stocks on an exchange. However, ETNs are more like bonds — they are are unsecured debt notes issued by an institution, and can be held to maturity or bought and sold at will. Their main disadvantage is that investors risk total default if an ETN’s underwriter goes bankrupt. Copper prices hit a three-year high earlier this month, and while they have since pulled back, many investors are still wondering how to get a piece of the pie. Read on to learn about two copper ETFs and two copper ETNs that may be worth considering. All data was accurate at close of day on September 19. 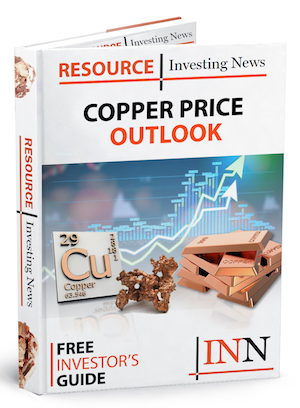 The United States Copper Index Fund aims to give investors exposure to a portfolio of copper futures without using a commodity futures account. It tracks the performance of the SummerHaven Copper Index Total Return (INDEXNYSEGIS:SCITR), which is calculated based on certain copper futures contracts selected on a monthly basis. Year-to-date, the fund is up 16.49 percent, at $19.05. The Global X Copper Miners ETF is up 26.55 percent year-to-date, trading at $25.31. The fund tracks the Solactive Global Copper Miners Total Return Index, which covers copper exploration companies, developers and producers. 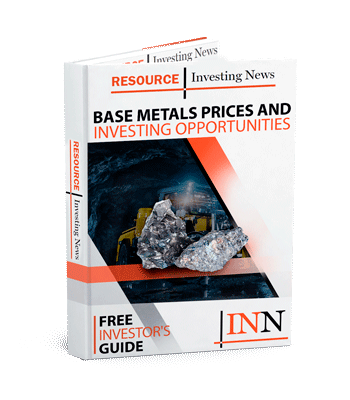 Some of the top holdings in the fund include Hudbay Minerals (NYSE:HBM), Kaz Minerals (LSE:KAZ), Lundin Mining (TSX:LUN) and Freeport-McMoRan (NYSE:FCX). The iPath Pure Beta Copper ETN is a note that provides exposure to the Barclay’s Copper Pure Beta TR Index, which is made up of a single exchange-traded futures contract. The ETN is up 17.2 percent year-to-date, sitting at $32.51. The iPath Bloomberg Copper Subindex Total Return ETN tracks the Bloomberg Copper Subindex Total Return — previously known as the Dow-Jones-UBS Copper Subindex Total Return. The note has seen an increase of 17.33 percent year-to-date, and is currently sitting at a price of $33.75. Did we miss a copper ETF or ETN that you think should be included on this list? Please let us know in the comments! This is an updated version of an article originally published on Copper Investing News in 2015.